The day is here! We are about to get on a small, 6 passenger plane to fly across Lake Superior to Isle Royale National Park. Loretta was anxious about this for months while I eagerly anticipated this part of the trip. The river in front of the seaplane (or should I call it lakeplane?) was as calm as glass as Tomas, the pilot, open the throttle and the engine roared. The takeoff was as smooth and the ride as steady as sitting in my living room. Loretta’s worries about air sickness in a small plane dissolved and she is now convinced a small plane can be steady. This was a major victory for me because this was the practice run for our future Alaskan national park trip, with some of the park only reachable by small plane. Before long, the island came into view as Tomas smoothly banked the plane around Scoville point and landed gently on Tobin Harbor and glided right to the dock. 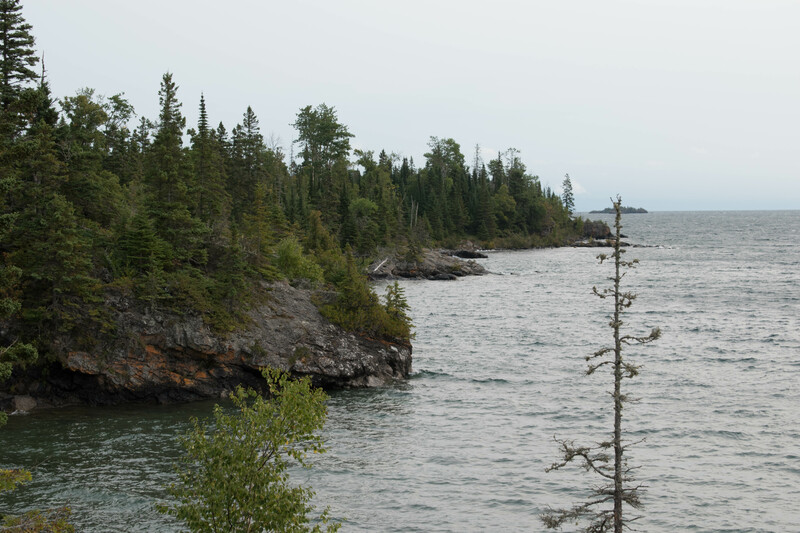 The essence of Isle Royale is its remoteness. It takes time and planning to get there. The closest major city, Minneapolis, is 5 to 7 hours away from the ferry terminal, then another two to six hours by ferry to get to the island, depending on your departure point. The lake can be unpredictable, which makes the ferry ride unpredictable and often torture for those prone to sea sickness. The difficulty getting there is part of the appeal for Isle Royale National Park. The cost in time and money is considerable, and you must really want to visit. It is the least visited national park outside of Alaska and is the only park to officially close for the winter. There are no roads or cars on the island. Travel is by foot or boat only. There are many camp grounds scattered throughout the 41 mile long and 9 mile wide island. There is no cell service and very slow internet is restricted to park staff. The exclusiveness and the resulting seclusion attracts a different kind of crowd. There are no “theme park people” here. Even the “national park people” skew heavily towards hikers and campers. Everyone is super friendly, and no one is in a hurry. This park is not about dramatic cliffs or “signature” sights. It is about unplugging from civilization for a few days and surrender yourself to nature. There are more than 100 miles of trails through thick conifer forests, inland lakes, and the magnificent Lake Superior shoreline. Exploration is key to enjoyment of this park. Explore by foot or explore by canoe. Look for moose tracks and listen to squirrels, birds, and moose calling each other with the sound of lapping water against the shoreline. The sounds of nature is only interrupted by the occasional seaplane or water taxi going by. Isle Royale feels intimate. The longer you stay, the more it grows on you. The scale of the park is just right and the environment helps you to relax. While the visitors are few, the percentage of repeat visitors is high. We met several people who are repeat visitors. This is the park to get away from it all. It is the hardest park to reach in the lower 48 states, and the least visited. It is exclusive but once you get there, surrender yourself to nature and unplug for a while and let it grow on you. Because of its vast size, the Great Lakes, Lake Superior included, behaves like the ocean. The water near Isle Royale is crystal clear and cold. There were a number of unsuccessful attempts at copper mining and that is the extent of development before it became a national park in 1940. Several mining pits are preserved. Scoville Point trail lead to the rocky tip of a peninsula on the east side of Tobin Habor, across from the main island. This flat trail meanders through thick forest, cross wetlands, and emerges onto a rocky point with expansive views of Lake Superior. Tobin Harbor trail parallels Tobin Harbor, through thick conifer forest, before turning east to reach Three Mile campground. Halfway to Three Mile campground is a cut off to reach Suze’s Cave. 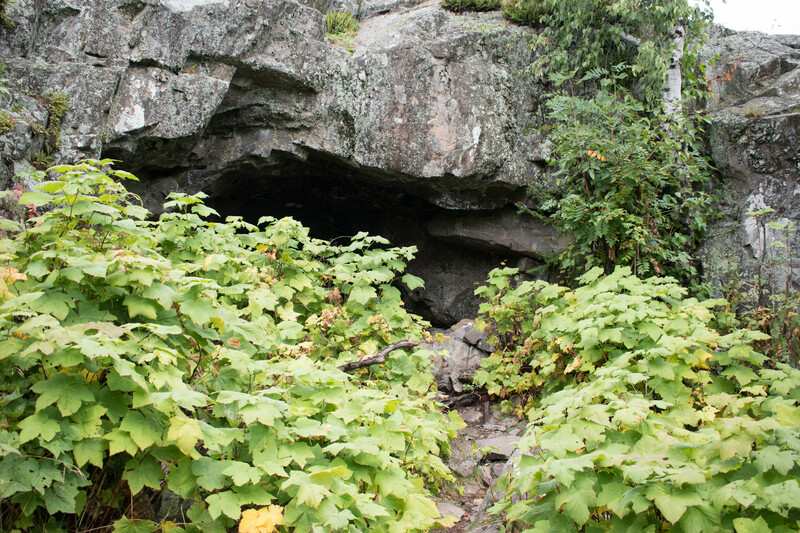 This is a small cave that is barely enough to shelter from the rain and really not much to look at. Rock Harbor trail parallels the lake from Three Mile campground back to Rock Harbor with plenty of beautiful views of Lake Superior. The hikes from Rock Harbor near the shorelines are flat. A steep two mile climb to Mount Franklin on the Greenstone Ridge Trail, which spans the length of the island, gets you up to a ridge line trail that is up to 1365 feet with look outs that can see both shores of the island. It takes several days to hike the 41 mile length of the Greenstone Ridge Trail from Windigo to Rock Harbor. Weather permitting, canoeing or kayaking to explore the shores of Isle Royale can be an excellent way to see the park. Many parts of the shore has dense forest and animals often come to the lake shore to drink. Water taxi or the ferry that goes around the island are the best way to reach the many ports on the 100 plus mile coast. Many hikers will hike one way and take the ferry back to the main ports of Rock Harbor or Windigo. The park service offers ranger led tours that combine a boat ride with a hike to various points of interest, some natural (like Hidden Lake) and some historical. There is dock space for private boats, if you want to sail across the large Lake Superior. According to NPS, there are more than 1400 moose on the island. Their number fluctuated wildly in the last 100 years. Inbreeding by their only predator, the wolf, is having a hard time surviving. 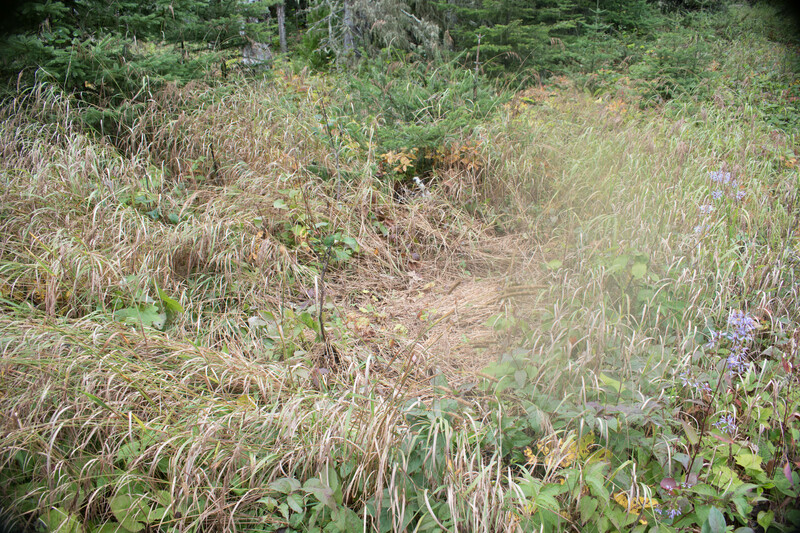 We looked carefully for moose tracks on the hikes but did not see them, nor did we see any moose. Other hikers we met did see them, one within 20 feet. I guess it wasn’t our lucky day. The park service is debating if they should introduce wolves to the island to increase the genetic diversity and save the wolves on the island. 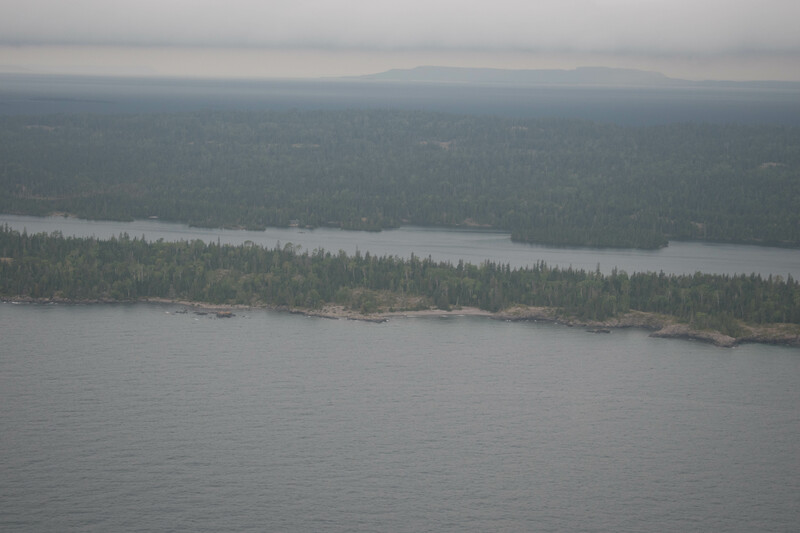 Because Isle Royale is isolated, it is a great place for scientists to study the effect of isolation. The wolf-moose study has been on-going for more than 50 years. Despite its remoteness, Isle Royale is connected to the world. Some of the waiters and waitresses at the restaurant are seasonal workers from Malaysia, China, and Taiwan on the special seasonal worker visa program. Each one I talked to said they love America, Americans they met, and the beauty of the land. They all said this is an unforgettable experience. Even though (or maybe because of) staying on the island the entire summer with limited contact to the outside world, they forged strong friendships with each other and with their American co-workers. As we were leaving, some of them were leaving also. Their American co-workers were by the dock to see them off, with lots of hugs. This is the type of international diplomacy and goodwill between people that is irreplaceable. I asked one of the Americans if the international workers are taking jobs from Americans. She said no way. Without these international seasonal workers, she said, they can not staff the place. Not many Americans want to be on a secluded island for months on end. Unplug and surrender yourself to nature periodically to recharge. The world will still be there when you return and probably not too different from when you left it. Isle Royale gives you the reason to make it happen. While there isn’t a single “can’t miss” sight at Isle Royale, this is an intimate park, especially for people who get goose bumps when they see a National Park entrance sign. Isle Royale beckens a visit just because it’s there. The challenge of getting there is half the fun, and once there, the pace slows, the crowds disappear, and solitude aplenty on the trails. It’s all about exclusive seclusion. 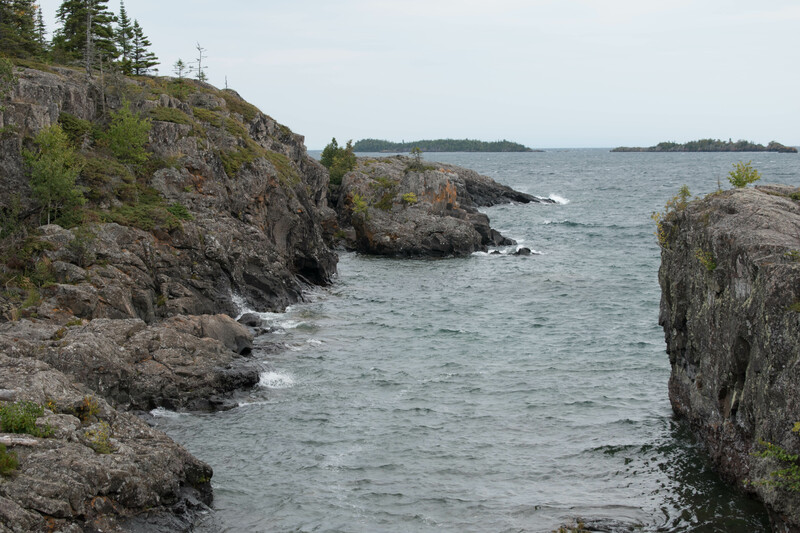 Have you visited Isle Royale National Park? Leave a comment below on your experience. Click on the Follow link and get an email when new postings are available. I will not share your email so no worries. A one day visit to a place that is so hard to get to is not wise. You will miss the essence of this remote park and miss the point. If you must do a one day visit, there are three ways: Ferry from Grand Portage, MN (four hours on the island, barely enough to do one hike), Ferry from Copper Harbor MI (two hours on the island, just enough time to have lunch, but why? 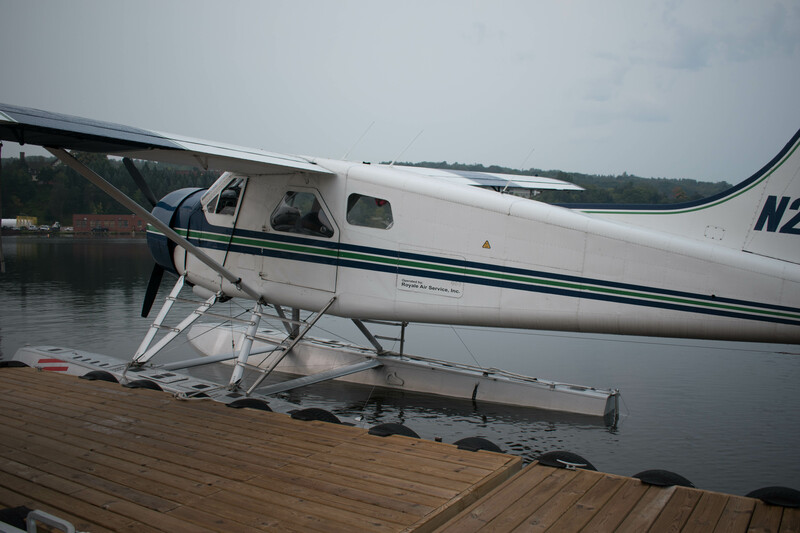 ), or seaplane from Houghton, MI (eight hours on the island). 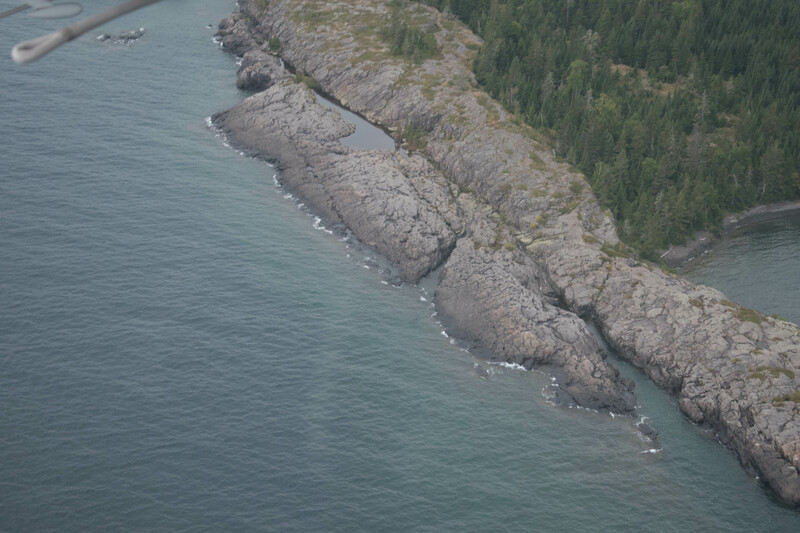 If you go by seaplane, take the first trip out at 8am, hike the Scoville Point trail, have lunch at Greenstone restaurant, hike to Suzy’s Cave in the afternoon, and return on the 5pm flight. Make reservations well in advance. A more typical visit is a 4 day visit via ferry or seaplane. Ferries don’t run every day so check the schedule. This option gives you the opportunity to unplug, relax, and explore the island at a much more leisurely pace. The season is short. The park is open from mid-April to October, but most services start in mid-May to mid-September. Grand Portage, MN to Windigo, takes two hours, but to reach Rock Harbor, add another five hours. Copper Harbor, MI to Rock Harbor takes three and half hours. Houghton, MI takes six hours. Seaplane from Houghton or Grand Marais gets you to either Rock Harbor or Windigo in about 45 minutes. You can also fly from Windigo to Rock Harbor. Schedule is much more flexible but it comes at a high cost. This is the option we took to avoid sea sickness. Lake Superior is famous for her moods. The waves can get very rough. The long ferry ride can get equally rough, especially for those prone to sea sickness. Ferries only run certain days of the week, which forces certain number of minimal days on the island. Plan ahead!! The ferry from Houghton is the biggest but the ride is the longest. Houghton is also the largest city you can depart from, and the headquarters of Isle Royale National Park with its own visitor center. 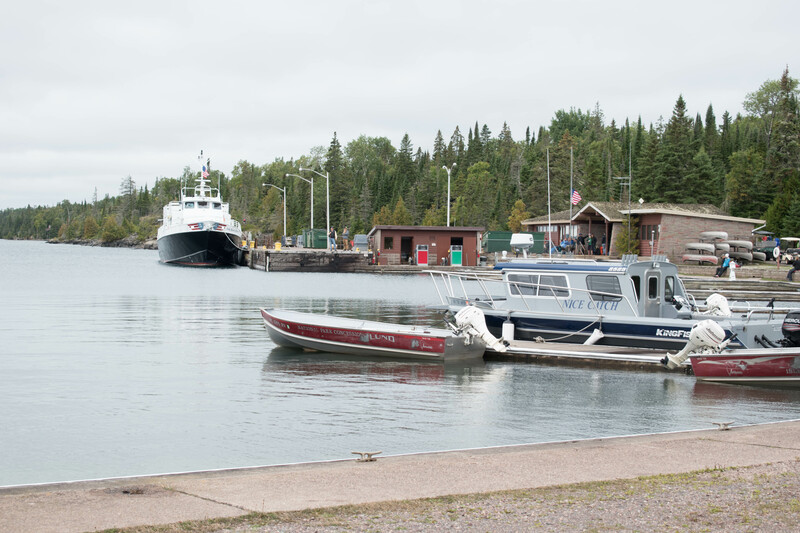 Copper Harbor has a shorter ride than Houghton, but on a smaller boat, more prone to wave action. Rock Harbor Lodge is the only hotel on the island. It is very nice, has rustic charm, and clean but it’s dated. There is no TV. There are also housekeeping cabins in addition to hotel rooms. Greenstone Grill and Restaurant serves excellent food with decent variety. Size: 571,790 acres, ranked 18th. Visitors: 24,996 in 2016, ranked 56th. 2017 is on track to surpass 2016. Record was 31,760 visitors in 1987. Peak Month in 2016: 8,878 visitors in August. Low Month in 2016: 26 visitors in January, although I don’t see how since the park is closed. Maybe 26 people showed up at the Houghton visitor center that didn’t plan ahead and thought they could visit the island. Entrance Fee: $7 per person, per day. Significant cost to get there via ferry or plane. Date Visited: Sept 14 – 15. I’ve always been apprehensive to take those small planes ever since my high school days learning how to repair them. The 4 seater ones basically use an engine that were the same in her first Nissan car! I convinced myself that if the single engine on that plane dies, we should be able to glide it in and given we were flying over a large lake, we could land anywhere! I did ask about the pilots. The owner is a retired American Airlines captain after 25+ years. The pilot we had graduated from the top aeronautical college in the US and has done this for several years. They fly in Michigan in the summer and move to the Florida Keys in the winter. 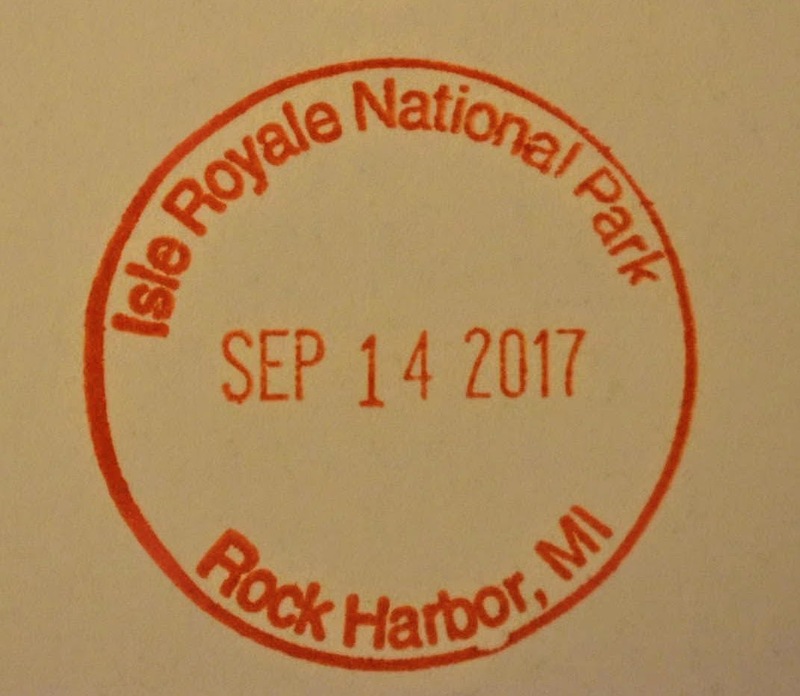 I’m from MI, and have always been intrigued by Isle Royale but have never had the opportunity to visit. Thanks for taking me there with your words and pictures. I’ve added it to my bucket list for our retirement travels. Looks marvelous. Hi Fritz, Just got back from our trip a few days ago. Isle Royale is special and it grows on you and it’s for hardy hikers, backpack campers and (if you can deal with the conditions of a very large lake) boaters. I would love to see you swim in Lake Superior at the island!! Maybe you can swim across Tobin Harbor, 1,130 feet at the narrowest?